Vietnam visa is classified into many types and it’s hard to discuss them all in one article. Therefore, we will only mention typical types of Vietnam visa that foreigners often apply for and concern about. Vietnam tourist visa is often used for tourism activities but the travelers can apply for it to join family or conduct business in Vietnam for no more than 1 month without having to prove the real purpose of the trip. Requirements for tourist visa are relatively simple. Embassies usually require a passport with at least 6 months of validity, a completed application form, and 01 recent passport-sized photo. In principle, Vietnam business visa is issued to businessmen entering Vietnam to do business such as making sales, signing contract or attending conference. In reality, anybody can ask for business visa to visit Vietnam for 3 months. The requirements for business visa are identical to those for tourist visa, with an additional of approval letter provided by your sponsor in Vietnam. If you do not have a sponsor, please contact the Vietnam Embassy for further help. Or, you can also apply electronically from private travel company. This option is much easier, faster and cheaper. 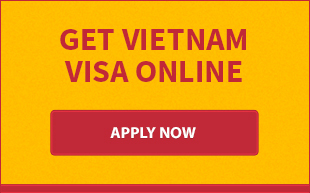 Unfortunately, business visa is not sufficient for you to work in Vietnam for a long-term basis. If you want to live and work in Vietnam for more than 3 month, a work visa will be required. Obtaining work visa from outside Vietnam is somewhat involved and requires lots of paperwork. Many expats in Vietnam apply for tourist or business visa and then switch to work visa from within the country. To qualify for work visa for Vietnam, you must be at least 18 years old, physically fit to do the work, provide proof of technical skills and work permit. Especially, you cannot have a criminal record in the past. The visa validity will be determined according to your validity of work permit. Those who are holding a work permit valid for at least 1 year can be granted a Temporary Resident Card, which allowing visa-free access during 1 to 5 years. Vietnam Government doesn’t require a transit visa if travelers transiting through Vietnam just stay inside the airport and do not cross the Immigration Area. For individuals who want to take a short city tour while waiting for the next flight, you’ll have to apply for tourist visa because Vietnam transit visa is only given to escorted group tours guaranteed by travel companies. The maximum validity of visa for transiting is 5 days. Single and multiple entry visas are types of visa fall into all of the categories above. It means that you can have business or tourist visa that is single entry or multiple entries. Single entry allows you to enter Vietnam once, and a multiple entry is sufficient for your repeat visits to the country. 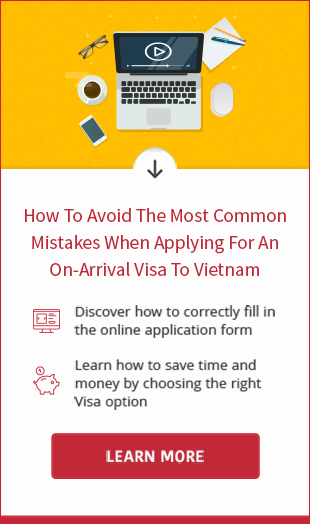 Read the guide on how to get a Vietnam visa.